You can create a more dynamic ring by complementing a center stone with additional diamonds and gemstones. 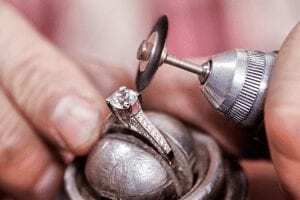 Pavé settings – pronounced “pa-vey” – include small, closely-placed stones that are held together by barely-there, flat metal prongs – giving the illusion of a surface paved in diamonds (hence “pavé.”). In channel settings, on the other hand, The diamonds are lined up and nestled into a hollow bed or channel for a smooth, snag-free sparkle. 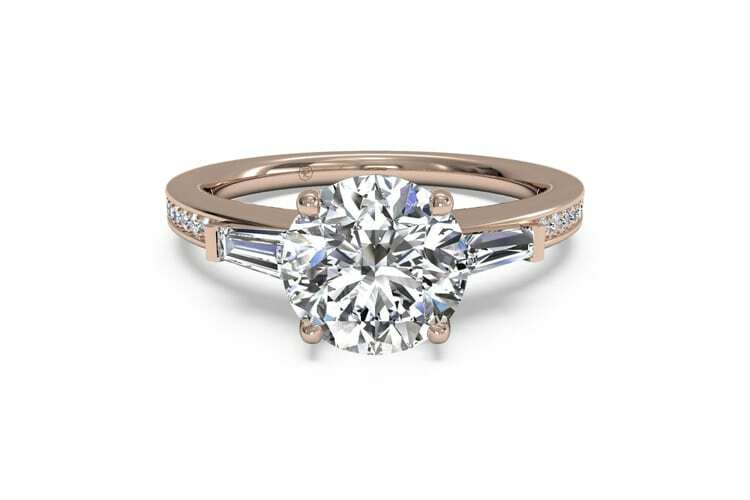 Click below to discover ten of the best and brightest side stone engagement rings. 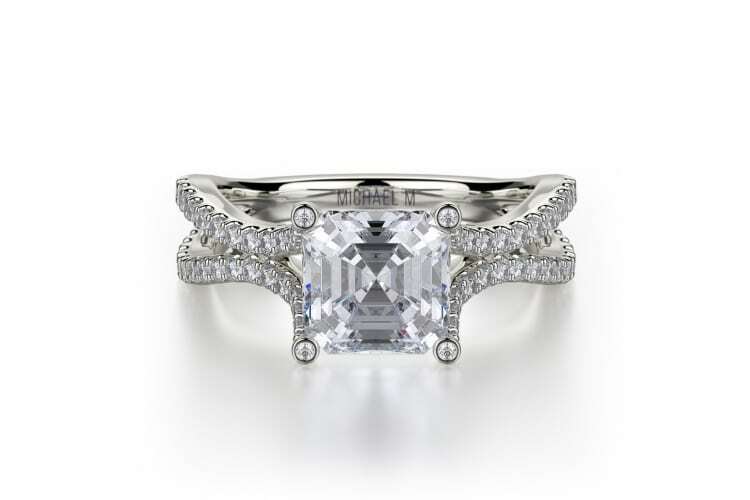 This split shank band offers a unique take on classic pavé diamond accents. Each small stone is hand-placed by a skilled Michael M artisan to ensure your engagement goes off without a hitch. 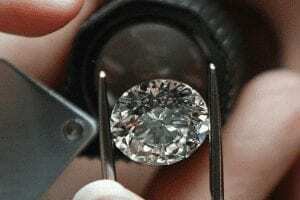 The Tiffany Setting With Diamond Band, Tiffany & Co. 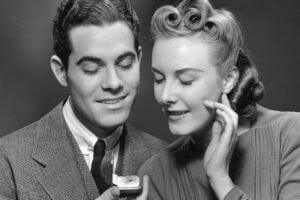 In 1886, Tiffany & Co. invented a six-prong setting to hold a center stone in place. 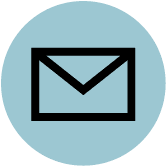 Today the design is used by many prestigious brands and is one of the world’s most popular styles. Here, they add a modern touch to this heritage piece by including four channel set diamonds on each side of this brilliant, round center stone ring. 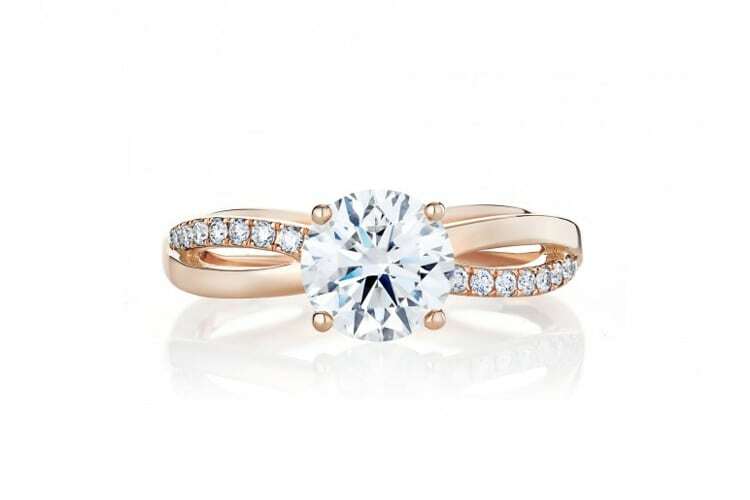 With pavé diamonds placed through the entirety of the band, this rose gold ring is shaped into the infinity sign to symbolize your connection and commitment for all of eternity. Continuing your French lesson, a “baguette” diamond is a rectangular stone cut into a shape that resembles a fresh loaf of bread. Placed in symmetrical channel settings, these side stones add a contemporary vibe to a classic round center diamond. You can add pavé diamonds to the band for even more glitz and glamour. 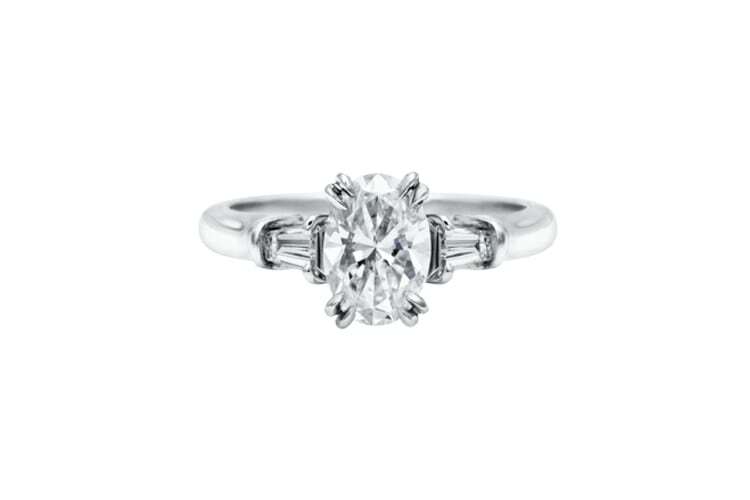 Cartier is the expert in classic engagement ring elegance. 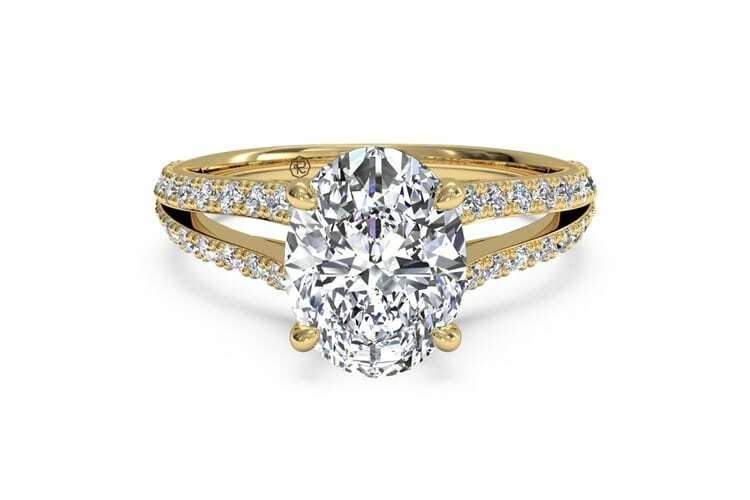 Here, the round center stone is complimented with pavé diamonds set deep into a yellow gold band. Tapered baguettes are wider on one end than the other. 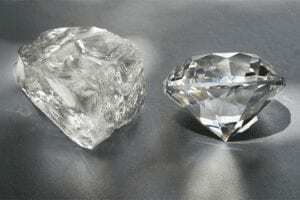 Here, these channel set side stones are added to an oval-shaped center diamond, for a unique Harry Winston’s engagement ring. 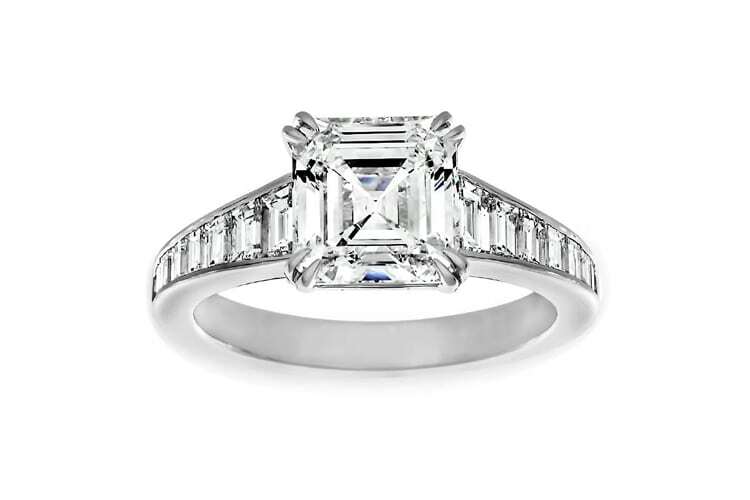 Compliment an asscher cut diamond’s clean and structured lines with vertically mounted channel set baguettes. This side stone ring is ideal for the woman with a minimal aesthetic and a romantic temperament. Ritani adds character to a simple oval stone with a split shank band encrusted in pavé diamonds. Turn the ring on it’s side to reveal two peek-a-boo diamonds nestled under the center stone. Even if your girl doesn’t like surprises, she won’t say “no” to these unexpected touches. 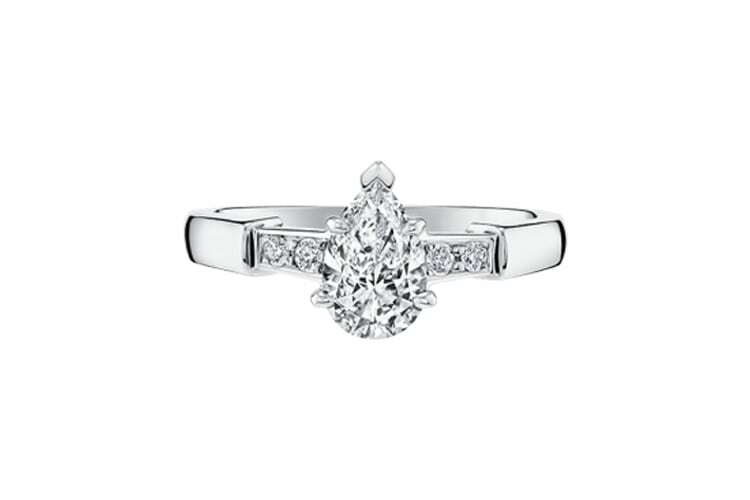 If your soon-to-be-fiancé hates being like everyone else, she’ll definitely love this ring, which swaps a classic round or princess cut stone for an unconventional pear shaped diamond. 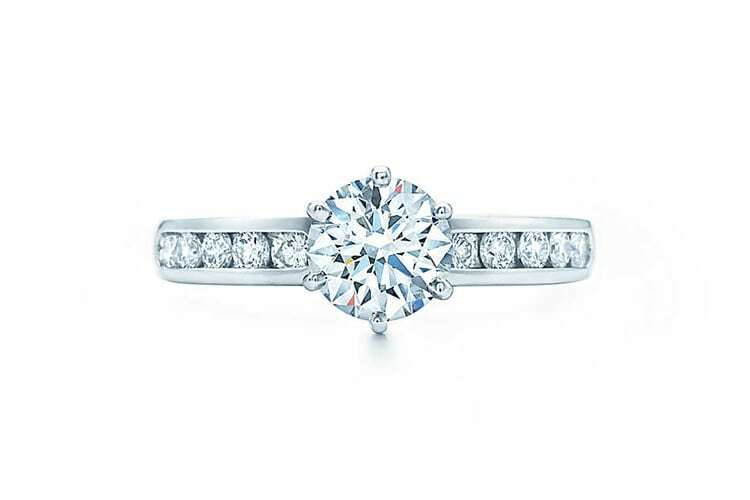 Set on a sleek band with four channel set side stones, this engagement ring is unique. 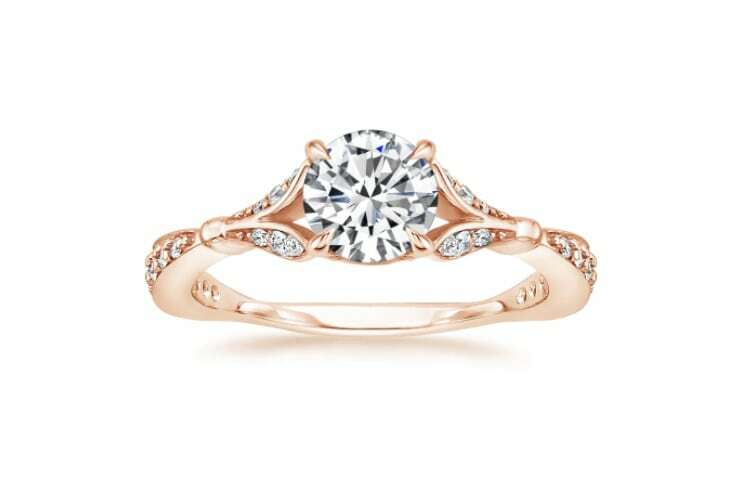 Intricately placed side stones and decadent details give this rose gold ring a vintage vibe. 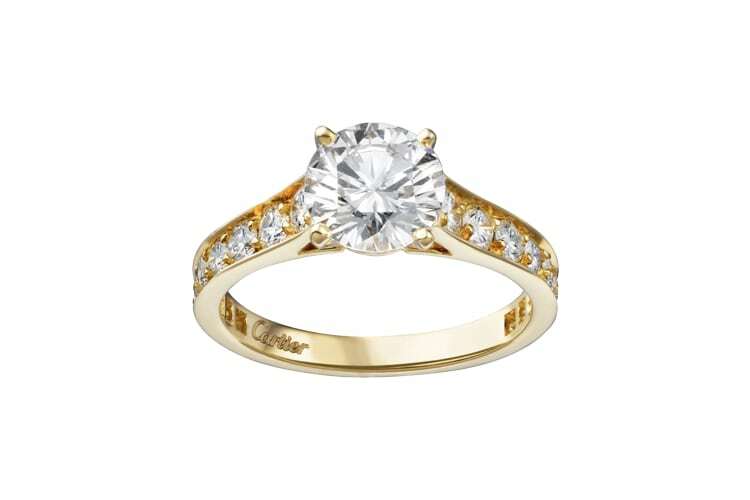 The band’s embellishments perfectly flatter the stunning oval center stone.